I’m not generally big on making new year’s resolutions. I know a few people who sometimes do though, and those resolutions often revolve around some type of fitness goal like losing a few pounds, starting a new exercise routine, eating better, that kind of thing. I even know a few people who decided to make January a dry month this year, where they would not drink for the whole month. I wouldn’t necessarily call it a resolution but, this year, I’ve decided that I’ll be doing a dry February (well – January 26th to February 25th). That means 30 days of no drinking. At the same time, I’m trying to motivate myself to work out a bit more often than I do now and see if I can drop a few pounds. Of course, you don’t have to eliminate alcohol from your diet to attain your fitness goals. 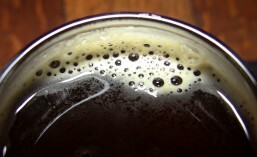 In fact, some studies have even shown that beer can be quite effective as a post-workout recovery beverage. Perhaps that’s part of what motivated Happy Hour Fitness NW to start their Pilates & Pints program. It sounds like a great way to combine your drive for working out with your craft beer-related social life in a comfortable and familiar setting. Looking for a new way to spice up your fitness this year and still get your craft brew on? Look no further than Pilates & Pints! Combine some core-crushing Pilates with a sprinkle of Yoga and Barre; and you’ve got POP Pilates. It’s an all-level, mat based workout that is so much fun you forget you are working out (almost). Follow it up with a pint of amazing Seattle craft beer or cider, and you’ve got your workout AND your social life in the bag. Pilates & Pints takes your workout into your local brewery, and is a great way to gain strength, balance, and flexibility. It’s a great excuse to meet up with friends or meet new people! Grab your mat, throw on some leggings, and hit the brewery. Your guide for this journey is Shea Drury of Happy Hour Fitness NW, a POP Pilates and spin instructor who just happens to brew and love craft beer. She wanted a way to share her love of fitness and beer with the community, and Pilates & Pints was born! Currently it is held on the first weekend of the month at two locations. Saturday is at Counterbalance Brewing in Georgetown, and Sunday is at Lucky Envelope Brewing in Ballard. Plans are in the works to expand to other breweries across the Seattle area, so follow her on Facebook or Instagram to keep informed! Following the link above, you will find information about the Pilates & Pints classes coming up starting next month at Lucky Envelope Brewing and Counterbalance Brewing. Simply find the class date or brewery location that works best for you and sign up. Class prices range from $15 to $90 depending on which options and how many classes you select. Start off your 2017 right with Pilates & Pints. As a bonus for my readers, you can use the discount code BEERMONGER to get $5 off a Pilates &Pints Beer ticket. This entry was posted in Ale, ballard, Beer, Brewing, Collaboration, Craft Brewery, Draft, Events, Exercise, Georgetown, Local, On Tap, Pilates, Seattle, Taproom, Taps, Tasting, Washington, Washington Beer, Winter and tagged 2017, ballard, beer, Counterbalance Brewing, events, February, Georgetown, Lucky Envelope Brewing, March, Pilates & Pints, seattle. Bookmark the permalink. Craft Beer Monger wrote up an amazing little blog article about Pilates & Pints! Thank you so much! Check out the article, and check back for a discount code! I love that study. It plays right into my thought process. Beer, the original sports drink. I’d rather have a beer than a Gatorade anyway. Cheers!